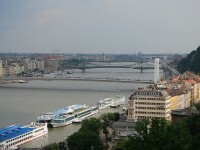 The Danube is the second longest river in Europe and it is spanned by many in Budapest. The most well known bridges are the oldest ones that were built before the Second World War, but there are some beautiful architectural bridges built after the war between the years 1950-2008. Every one of them has its own characteristic style and some of them are really outstanding. 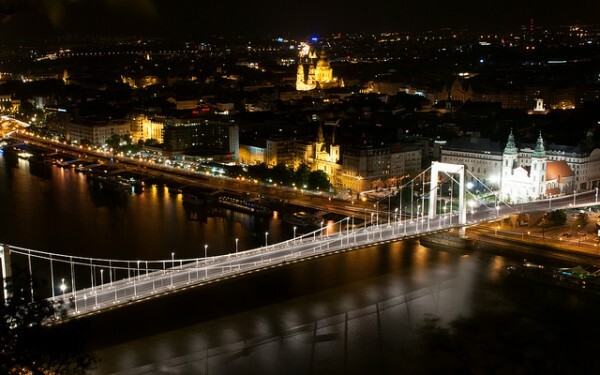 We would like to offer you a short presentation of the top 5 new bridges of Budapest. The Árpád Bridge crosses the Danube and links the III. And the XIII. 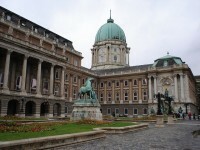 district of Budapest. circumference, is also the longest bridge over the Danube in Budapest. 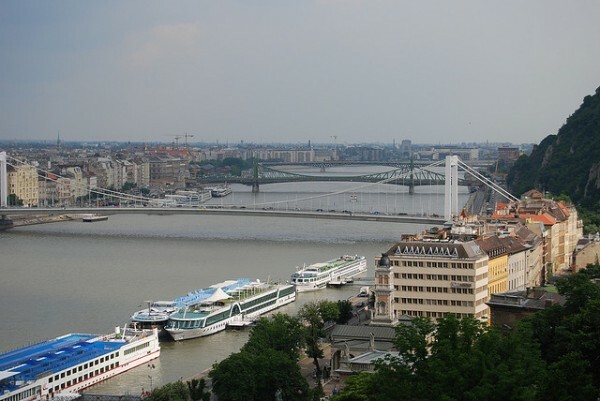 Today the bridge is the busiest bridge in Budapest, with approximately 150,000 vehicles passing through it daily. In the beginning was called Stalin Bridge. The bridge structure connects the foot of Gellert Hill with the city center of Budapest. 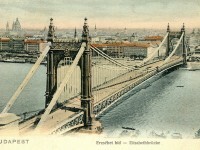 The old Elisabeth bridge didn’t survive the Second World War and had to be replaced. The new bridge was built according to the plans od Paul Savoy and wanted to be a suspension bridge, as the old one. It was opened to traffic in 1964. The bridge was placed on the fixed old pillars, but had to be wider than the old one because of the increased traffic, so the sidewalks were placed outside of the suspension cables. The Deák Ferenc Bridge is called unoficially the Southern Danube Bridge of the M0 motorway and it is the southernmost bridge of Budapest. It is par of some main international routes, as E60, E71, E75. It was inaugurated on the 16th of November 1990. The Rákóczi Bridge is the second newest bridge of Budapest. It is located directly near the railway bridge. 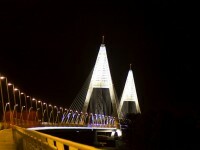 The bridge between the years 1995-2011 was called Lágymányosi Bridge. 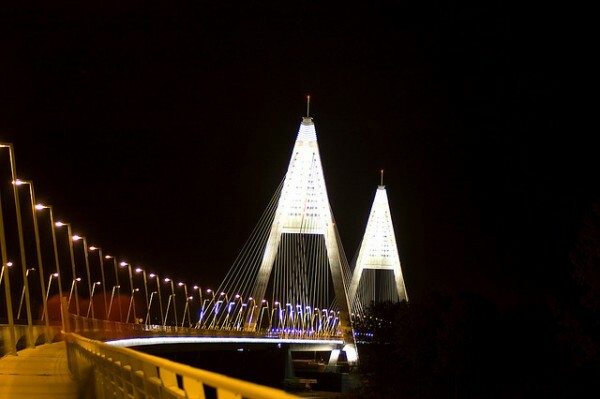 The Municipal Assembly recommended on the 27th of April 2011th to the Geographical Names Committee to change the name to Rákóczi Bridge and the request was unanimously approved in August 2011. The Megyeri Bridge is the newest bridge of Budapest. The construction of the 1862 m long bridge was started in February 2006 and was finished at the 30th of September in 2008. The bridge connects Budakalász with Újpest and completes the M0 motorway ring. The Megyeri Bridge consists of five interlocking bridge structures and expands over the two branches of the Danube, and the Szentendre Island as well. The highest point of the pillar, has 120 meters. In the higher third of the two “A” pillars a glass tourist center wes built for the interested ones. The Megyeri Bridge has 2×2 car bands with emergency lane, a footpath on the south side and a bike path on the north side.